Walton County, Fla— On Saturday, June 24th, teams from across the country will set out to summit their state’s highest point in honor of the law enforcement officers who have been killed in the line of duty. Cops on Top teams are comprised of volunteer climbers, largely self-funded law enforcement officers. Whether their attempt is to climb the tallest mountain or hike the highest hill, each team member will carry with them the memory of the tremendous sacrifice of their fallen brothers and sisters in their respective states. 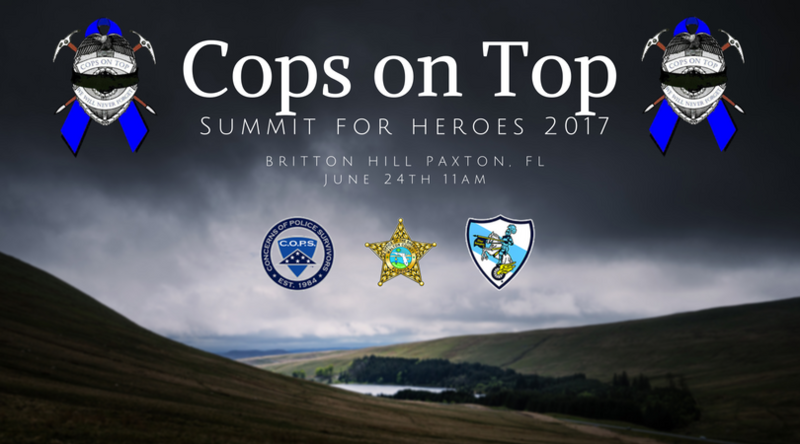 The annual Cops on Top Summit for Heroes Memorial Climb dates back to 2006 and is one of our largest memorial climbing events the organization conducts. The purpose is to bring to the public’s attention the dangers, stress and life-altering effects on the average law enforcement officer. A fallen officer’s memory serves as our banner and a memorial is placed on each summit. Please join us at Britton Hill in Paxton, Florida as we honor those who have paid the ultimate sacrifice while serving their communities. 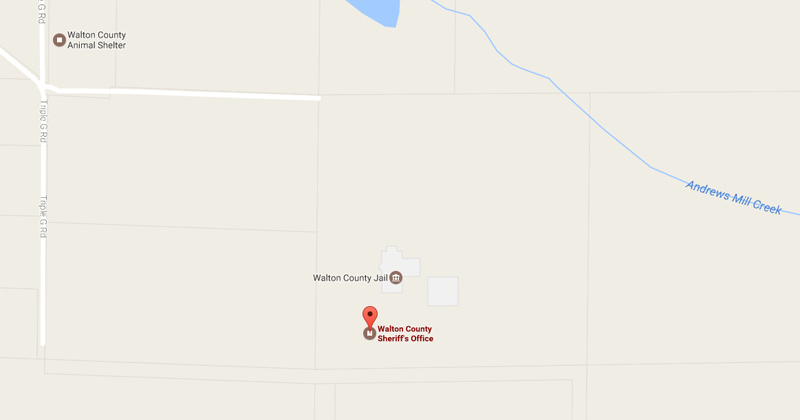 The ceremony will begin at 11AM and will include the Walton County Sheriff’s Office Honor Guard.